In the master bedroom. All together all the time. Why did we move to France? Sam has always wanted to move away from our comfortable and beautiful home with the kids to experience something exciting and new. She’s got a adventuresome heart and seeks new experiences. She likes variety. We’ve lived in our home in Boise for the last 6 years. That’s the longest we’ve lived anywhere in our married life. She was feeling the winds of change whip up her soul. In March she felt inspired to move to France. She started talking about it. I kind of blew it off because it’s a common topic with her but she was more serious than usual so I went along with it. Now we’re in France. How can we move to France? Page One Power which my brother, Dad and I own equal shares of is doing great, making money and growing. My brother and I ran it for 5 years until the middle of 2016 when we stepped aside from day to day operations and let a talented, capable team make it what it is today. It’s better to have us at arm length. They do a great job. That allows the freedom to do other stuff, like move to France. Where did we move in France? 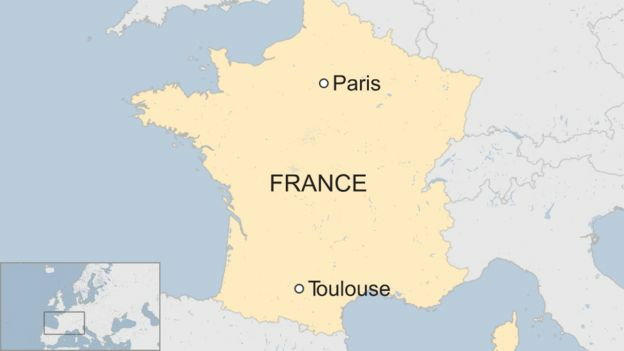 We moved to a rather large city called Toulouse. It’s in the southwest part of France. For the French we live in the deep south. Toulouse is a large city. 1.3 million live in the metro. We wanted to live in a city but not a high profile, tourist one. We both wanted the most authentic French experience possible. Toulouse is also affordable, our 2200 square foot apartment is 1550 Euros per month. An apartment like this in Paris would be around 8000. Toulouse is filled with shops, restaurants, sites, people and smells. It’s a beautiful city. You’ll see. I will provide more details about our apartment in upcoming blog posts. What did it take to move to France? And we don’t speak a single sentence of French. The French don’t hurry. They have a pace that is slow, but steady. America is fast, but erratic. Once I realized that it will get done, just slowly I started to relax. For instance, getting a French travel visa was painfully slow and torturous. They lost my application for a couple of weeks, but they found it eventually. During those weeks I was a wreck because I had surrendered my passport to get the Visa. But they found it and processed our Visas. Another example. When we got our apartment I wired the deposit and 1st months rent to our landlord. It was about $5000. I emailed him to confirm. No response. I emailed again. No response. About 2 weeks later he responded saying “It good”. I’ve learned to be more patient. The logistics to move here were staggering. If I knew then what I know now I would think twice about moving here. But I’m glad we did all that painful stuff. We love it here so far. I’ll write more about our move to France in following Blog posts. In the meantime. Here are a few images from our first week in France. Albi. A town an hour away from Toulouse. France is a walking country. See the kids faces for their opinion. Sam gets tired over here.